Keyword strategy is one of the most important aspects when it comes to search engine optimisation, pay-per-click advertising and conversions. Search engine optimisation these days just isn’t as basic as creating a keyword list and stuffing tags. ?We use keyword research analysis to help deliver your keyword strategy which is the cornerstone of all online marketing efforts.? It is important in order for your target customers to find your site.? It will also guide what content you produce, for whom and the writing style. 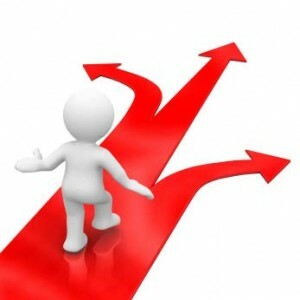 Keyword strategy and choice should reflect your business model, and be structured to outperform competitors.? When conducting keyword research, you need to consider what type of words that your customers may typically use within their search queries. Developing a keyword strategy goes beyond traffic volume and into the evaluation of the content that will resonate for particular keyword targets.? You want to target keywords that you have a reasonable chance of getting ranked for first and work on the harder ones later. It is just one part of effective search engine optimisation.? Keyword strategy has to be constantly evaluated and refined based upon results and analytics.? It is quite likely that your keyword strategy will vary for your website, your social media properties and your display ads. For example, it will certainly be different for the Google search vs. the network used for AdWords. We use several keyword tools – including the Google Keyword Tool and several other keyword tools to help with our analysis. You need to rank high for your keywords, so you don’t let the competition take your customers away.? So, if your resources are limited – and they are for most local and small business operators – it can be important that you don’t target highly competitive keywords because this will need a much bigger and continuous effort SEO. We will help you look for great search terms with a level of competition you can handle. This is the perfect place to start your SEO efforts.? Then when you are pulling more customers from your web assets, you can take on the higher volume (and more competitive terms) with the extra profits you are generating. Contact us to get started with a solid keyword strategy as the foundation for your web presence.